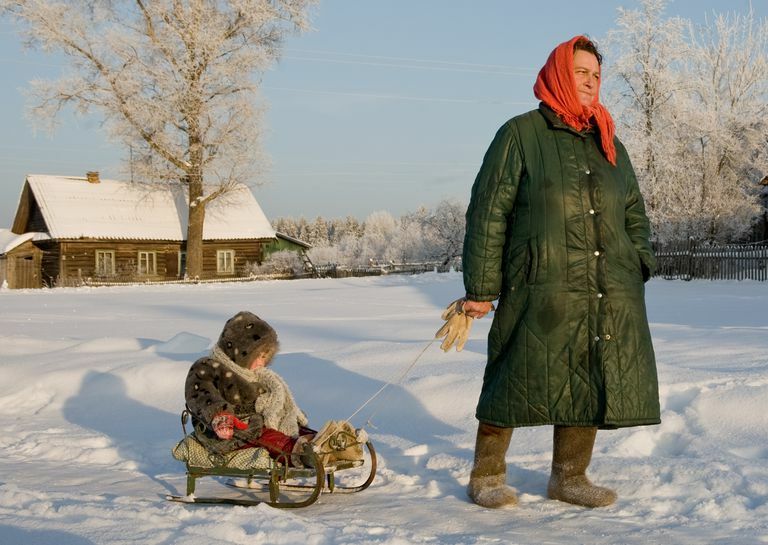 As in many cultures, grandmothers in Russia play a significant part in the family. In place of nannies, grandmothers become the child caretakers and have a strong influence on the children's upbringing. Grandmothers in Russia are considered a special member of the family and are shown much love and respect. The Russian word for grandmother is babushka, a term used to address one's own grandmother as well as any woman of grandmotherly age. This word is also used in a joking manner, to designate an older woman who is full of folk wisdom and loves to feed her grandchildren. Since the Russian alphabet is different from the English one, transliteration is necessary, and words often exist in several different spellings. In the case of babushka, variations are baboushka, babouchka, or babooshka. Some Russian grandchildren call their grandmothers baba. A related endearment is babulya. The word babushka has two other meanings as well. A headscarf folded into a triangular shape and tied under the chin is called a babushka. Russian nesting dolls, usually called matryoshka, are sometimes called babushka dolls. In most Russian families, both parents work. The state provides parental leave when a baby is born and it is usually the mother who stays home—but if the father makes more money, he may stay home as the stipend from the state will be greater. At any rate, when the baby is somewhere between 1 and 3, the parental leave will be over. The government is developing a system of child care, but it is not yet fully available, and few Russian families use nannies. 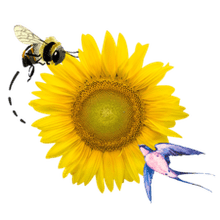 Therefore, frequently a grandmother will care for their grandchildren during the time between the end of parental leave and the beginning of regular school, which can be several years. They will play a large part in the children's early years' development and will create a strong bond with their grandchildren. In turn, grandmothers are an integral part of the family. Holiday celebrations are very important in Russia, and grandmothers take on much of the holiday preparation. Although religious practices were banned during the Soviet years, religious holidays survived in one form or another. Since the end of the Soviet era, holidays have regained religious significance for many and hold several family traditions. Easter is a more important holiday in Russia than Christmas, but both celebrations involve much preparation, including cleaning the house for Easter and cooking and baking special foods for the holiday meals. In many families, the grandmother is in charge of these responsibilities, doing much of the planning and prepping herself. It may be during this time that the grandmother teaches her children and grandchildren some of the family heirloom recipes that have passed down generation to generation. The holidays are also an opportunity for the grandmother to share stories and wisdom with her grandchildren, making this time of year even more special.